Hey guys! Today I’m taking a look into the Plugin Alliance plugins for mixing and mastering. These plugins are of the highest quality and design. I found them to be quite useful as they were quick and easy to learn and get the most out of. This is a great plugin for adding tube character to your mix, whether it be on the mix bus, or an individual track. It emulates the original Black Box accurately, but with all of the flexibility of being “in the box.” I found this quite useful on the drum bus, drum room mics, and vocals, for dirtying things up in a pleasing way. This SSL E series channel strip is one of my favorite plugins from Brainworx. Being a channel strip, it has a gate, eq, compressor, and expander. Brainworx took a legendary console and its sound, and managed to accurately recreate it, while adding new features that speed up workflow. The addition of a parallel compression blend/mix knob and a saturation knob are very nice. They also modeled the circuitry of multiple channels using TMT (Tolerance Modeling Technology), so that when the plugin is used in several instances, not all of them are identical. The bx_console G is another SSL-based channel strip, and as the name suggests, it’s based on the G Series console. Like the E channel strip, it uses the TMT to recreate the imperfections of each individual channel in a G Series console. These imperfections are desired by engineers who are familiar with analog, large format consoles, as they enhance the mix when multiple channels are stacked. More separation and clarity across the mix results from the TMT. You could mix a record with just one of these channel strips and some stock reverbs and delays. It’s that good. The bx_digital V3 is incredible on master bus. It’s a great EQ, with a very smooth top end, which is why I like it for master bus applications. It also features stereo widening enhance your mix bus or individual tracks – it’s great on synths! This is a fantastic go-to for your mix bus! This is an emulation of the famous Ibanez tube screamer. When I paired this with the Mega Dual amp sim, it made for some great rock and metal tones. It reminded me of my real tube screamer. This is a really well-done emulation, and I much preferred it over the stock one that came with other amp sim software. The bx_rooMS is has become a go-to reverb for me. The UI of this plugin is fantastic. I’m a fan of quick workflow and efficiency, and this reverb helps me get the sound I’m looking for right out of the gate. The M/S feature, as well as a low pass filter, and the “mono maker” option make this super versatile. While it does have several unique features, they are all easy to use, and most importantly, this reverb sounds incredible. This is a faithful emulation of the famous Boss SD-1 overdrive pedal. Brainworx really nailed the sound with this one. I used it front of several different guitar amp simulations and it reacted just how one would expect the real thing to act – smooth, creamy tube-amp style distortion. This is an excellent tool to have if you’re looking to expand your capabilities in the box using guitar amp sims. The Millennia NSEQ-2 has been a favorite of mine for some time now. This always gets thrown on either the drum bus or my mix bus, as it is extremely musical, even when pushed hard. The option to choose between FET and Tube circuitry is a plus for me. I found the FET to be tight in the lows, with some good punch, while the tube was more rounded. The top end is airy and smooth, and doesn’t really get harsh, unless your source material already has that quality. The Millennia TCL-2 is a beautiful, Class A bus compressor, designed for mastering and mix bus use. The first time I threw it on for mastering a track I was surprised by just how clear and transparent this was. When I pushed it a bit hard, it was still very transparent. This coupled up with the Millennia NSEQ-2 quite nicely on my master bus. The DrumXChanger is a new tool for not only replacing or blending a drum sample, but also processing it, alongside the original mic signal. The trigger feature has multiple thresholds for firing ghosts notes and rim shots. This makes it easier to dial in the trigger so that it doesn’t have any false triggers for both rimshots and ghosts, making for super accurate drum replacement. Based on the original hardware unit by SPL, this plugin is a game-changer. I threw some rather poorly recorded and played snare drums its way, and I was able to get them slamming within a few moves. Most importantly, it took only a few seconds of tweaking to find the sound I was after. As a mixer, dealing with poorly recorded or played source material can be a common issue – especially with the snare drum. The fact that I was able to improve the sound so quickly, is huge for me. Trying to salvage that particular snare with other plugins took tons of tweaking between multiple plugins, but with this I was able to quickly and easily dial in just the right amount of attack and sustain on the signal. These Plugin Alliance plugins are still many of my “go-to” plugins when mixing. 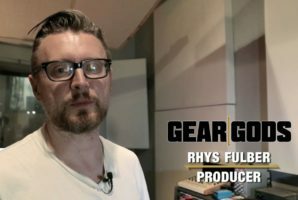 Plugins like their E and G console series are all you need to get a great sounding mix. If you can only afford a few of these, and you’re primarily mixing, I would recommend the console series plugins, bx_rooMS, or the SPL Transient Designer Plus. If you’re doing more mastering, or are in need of great 2bus plugins, I would look toward the Millennia NSEQ-2 or TCL-2, or the bx_digital V3. Those are the plugins that stood out to me of the ones I checked out. Plugin Alliance has a free trial on their site, so if you’re in doubt, head over there and give these a try!